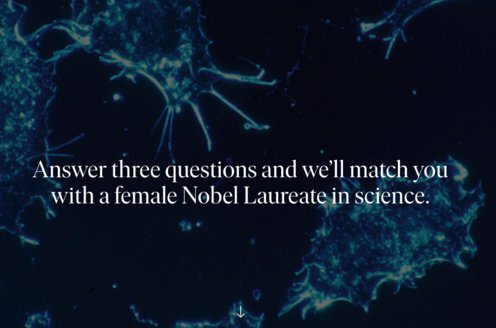 The Royal Swedish Academy of Sciences has decided to award the Nobel Prize in Physics for 2010 to Andre Geim and Konstantin Novoselov, “for groundbreaking experiments regarding the two-dimensional material graphene”. Graphene is a form of carbon. As a material it is completely new – not only the thinnest ever but also the strongest. As a conductor of electricity it performs as well as copper. As a conductor of heat it outperforms good conducting metals such as silver and copper. It is almost completely transparent, yet so dense that not even the smallest gas atoms can pass through it. It is so strong that a 1 m2 hammock, no heavier than a cat’s whisker, could bear the weight of an average sized cat without breaking. Andre Geim and Konstantin Novoselov used a piece of graphene no thicker than the diameter of a hair in order to investigate the miraculous traits of graphene. The most remarkable is that electrons travelling in graphene behave as if they did not have any mass and move ahead at a constant speed of one thousand kilometers per second. This opens up the possibility of studying certain phenomena more easily on a smaller scale, i.e. without the use of a large particle accelerator. 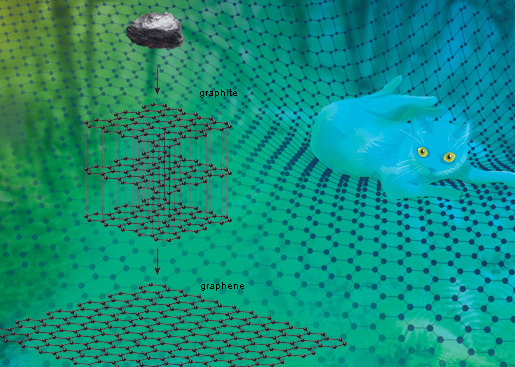 Graphene also allows scientists to test for some of the more ghost-like quantum effects that have so far only been discussed theoretically. One such phenomenon is a variant of Klein tunnelling, which was formulated by the Swedish physicist Oskar Klein in 1929. This tunnel effect in quantum physics describes how particles can sometimes pass through a barrier that would normally block them – the larger the barrier the smaller the chance of quantum particles passing through. However, this does not apply to electrons travelling in graphene – in some circumstances they move ahead as if the barrier did not even exist. 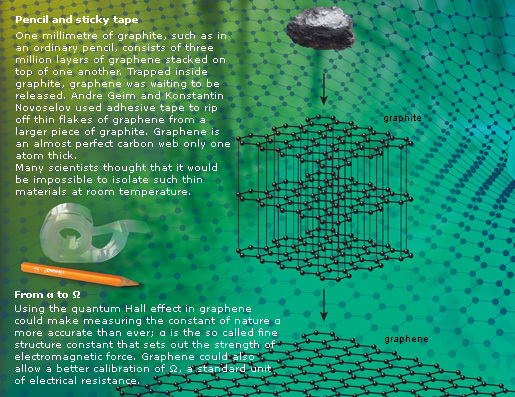 So far, most of the possible practical applications for graphene exist only in our fantasies. A great deal of interest has been spurred by graphene’s conducting ability. Thus graphene transistors are predicted to be substantially faster than those made out of silicon today. Maybe we are on the verge of yet another miniaturization of electronics that will lead to computers becoming even more efficient in the future. 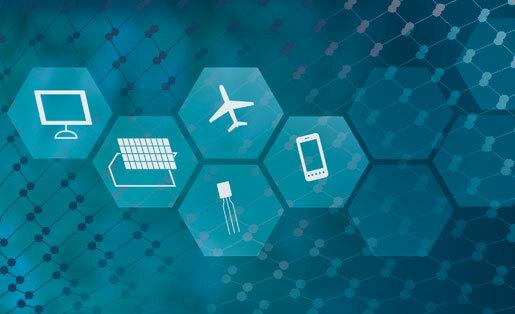 Since graphene is practically transparent (up to nearly 98%) whilst being able to conduct electricity, it would be suitable for the production of transparent touch screens, light panels and maybe solar cells. Also plastics could be made into electronic conductors if only 1% of graphene were mixed into them. Likewise, by mixing in just a fraction of a per mille of graphene, the heat resistance of plastics would increase by 30˚ C while at the same time making them more mechanically robust. This resilience could be utilised in new super strong materials, which are also thin, elastic and lightweight. The perfect structure of graphene also makes it suitable for the production of extremely sensitive sensors that could register pollution at molecular level. Dutch citizen. Born 1958 in Sochi, Russia. Ph.D. 1987 from Institute of Solid State Physics, Russian Academy of Sciences, Chernogolovka, Russia. Director of Manchester Centre for Meso-science & Nanotechnology, Langworthy Professor of Physics and Royal Society 2010 Anniversary Research Professor, University of Manchester, UK. British and Russian citizen. Born 1974 in Nizhny Tagil, Russia. Ph.D. 2004 from Radboud University Nijmegen, The Netherlands. Professor and Royal Society Research Fellow, University of Manchester, UK. Konstantin Novoselov began working for Andre Geim as a PhDstudent in the Netherlands. He subsequently followed Geim to the United Kingdom. 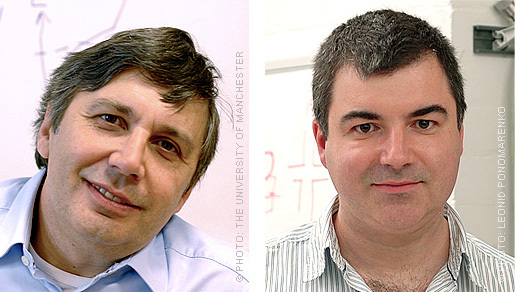 Both of them began as physicists in Russia, now they are both professors at the University of Manchester. Playfulness is one of their hallmarks. With the building blocks they have at their disposal they attempt to create something new, sometimes even by just allowing their brains to meander aimlessly. One always learns something in the process and, who knows, you may even hit the jackpot. 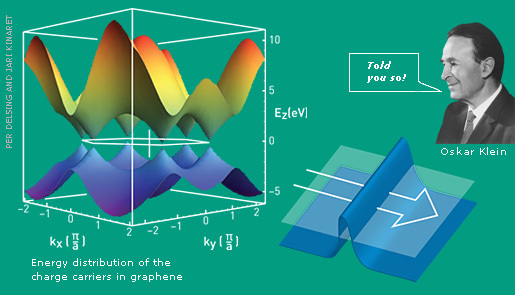 Like now, when with graphene, Andre Geim and Konstantin Novoselov have written themselves into the annals of science. Geim, A. K. and Kim, P. (2008): Carbon Wonderland, Scientific American 298(4): 90–97. Novoselov, K. S., Geim, A. K., Morozov, S. V., Jiang, D., Zhang, Y., Dubonos, S.V., Grigorieva, I. V. and Firsov, A. A. (2004): Electric Field Effect in Atomically Thin Carbon Films, Science 306(5696): 666–669. Editors: Lars Bergström, Per Delsing, Börje Johansson, Ingemar Lundström, The Nobel Committee for Physics, Joanna Rose, Joanna Rose Vet, Annika Moberg, Editor and Patrik Engberg, Nobel Assistant, The Royal Swedish Academy of Sciences. Posters may be ordered free of charge by e-mail to posters@kva.se, phone or fax.